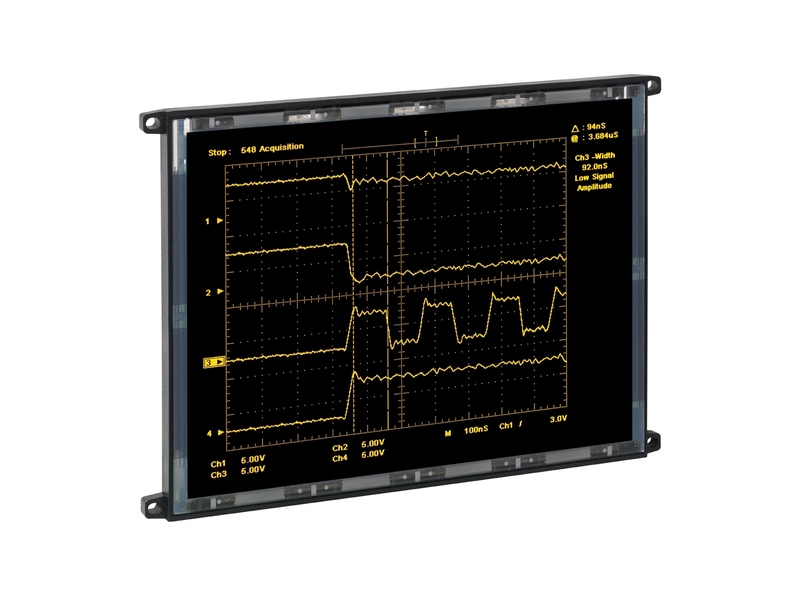 The Lumineq® EL640.480-AM1– Planar EL Series display is an Electroluminescent (EL) display that Capetronics has the capability to possibly refurbish, repair or replace with a brand new unit. If your glass substrate is damaged a replacement would be the only option at this time. 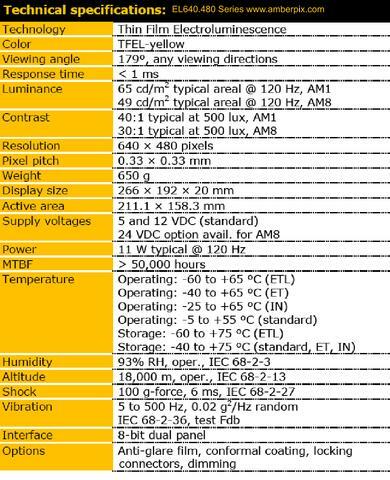 display requirements. Utilizing Beneq’s proprietary ICEBrite technology (Integrated Contrast and Brightness Enhancement), these displays excel in ambient light environments ranging from dark rooms to nearly sunlight. This proprietary technology achieves very high contrast and exceptionally clear images. 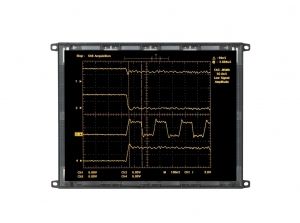 These displays are easy to integrate, enabling the quick replacement of existing LCDs. This family utilizes a common 8-bit FPD-type interface compatible with most LCD video controller chips. Up to five distinct gray levels are enabled by frame rate modulation algorithms generated by the controller chips.